If you have a Napco Security Gemini – and a lot of homes have this very popular system – then you might want to consider adding the Gemini Remote Virtual Keypad for easy online system control on the go. 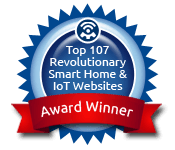 The Napco Gemini Virtual Keypad (iRemote Module) allows you to access a Napco Gemini control panel over the Internet, providing remote control of your security system anywhere you have access to the web. The keypad module simply connects to the control panel’s keypad bus and is programmed as a regular keypad. Once connected, the module provides a fully-functional online mirror-image of the actual model. By providing an identical interface, the virtual keypad is effortless to use. The Virtual Keypad includes 12 months of subscriber access to a customizable web interface at myremotekeypad.com. It also supports programmable alarm reporting via Internet to central stations that support NetLink. The keypad is compatible with NAPCO Gemini panels GEMP816, 1632, 1664, 3200, 9600, and X255; Gemini Commercial. T o install the Virtual Keypad in your Gemini system, you will need a router, a modem and the free MyRemoteKeypad App for Android or iPhone. 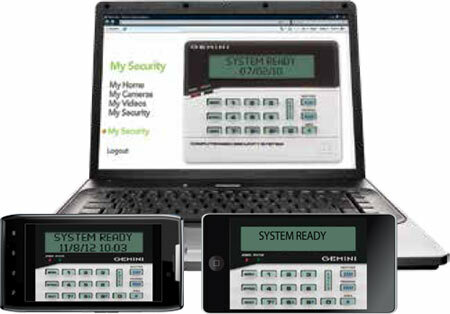 MyRemoteKeypad application provides real time access to the Napco Gemini security keypads. With this application, using a secure user id/password, you can remotely access your security system keypad. The application provides support in three languages: English, French and Spanish.